All things Hikes, Technology & Recruitment | Stephen Turnock’s Blog – Recruitment Operations & the Peak District – What a great Mix! Stephen Turnock’s Blog – Recruitment Operations & the Peak District – What a great Mix! It's True: Your are what you eat.. The food industry portrays pictures of the happy farm yard cows on the front labels but in truth, the contents are laden with gazillions of cancer and disease causing chemicals – many of which are disguised or simply missing from the labels. Meanwhile 10,000 UK people die per year from taking prescribed drugs.. Apparently that is acceptable? When in the great outdoors I will tend to pick up the odd bottle or can, then at least next time I pass by I don’t have to see this ‘blot’ on the landscape and nor do others. Sometimes however, there is a bin bag full to contend with. In this video, I return to a remote spot in the forest. More specifically, Delamere Forest. Litter everywhere! What is the answer? Happy New Year all you lovely people. Thanks for your support and company in 2018 and I look forward to getting out there in 2019 and perhaps seeing you in person! I nipped out for a brew in the woods. If you can do that too, then I highly recommend it and leave your stresses behind, connecting with nature for a bit. I finished the vlog in the conservatory due to a bad video and sound production during my talk in the woods. Pitty – as that was a much better dialogue than the take-two back at the Turnock towers! oh well, there’s always next time. Yeah, so 2018 was a busy year and no doubt 2019 will be but I fully intend to get out more in 2019 and get behind the camera and make more films to watch when I’m too old to get out. Let’s make 2019 a healthy one. I don’t mean down at the gym but just get out and hike or at least watch what you put in thy gob! Keep tabs on this channel as I will lose a few stones in 2019 and will be blogging about the outdoors and just how losing a few pounds is easy with a mindset fix. Possibly, the odd wild camp, a few photos and some history along the way. Happy New Year and see you soon!. Music created using Akai MPK both live and virtual loops recorded including some real instruments using various tools, Digital Audio Workstation & tools, drum machines, synthesizers & MPC etc. Basically, a lot of messing about and learning on the fly until it sounds something like the tune in my head.. most skills of which I forget and have to start over next time! Delamere Forest to Atoll South Pacific, It’s Crime Scenes all the way.. Listen to your Recruiter Ancestors! If you are in recruitment did you ever stop to think about the origins of your industry? Recruiters today have a lot to thank the original recruitment pioneers for. It’s easy to forget that the Recruitment industry has been around for a long time but most recruiters I would say do not want a history lesson and they know everything! Well, that’s OK. I knew everything too! Some younger recruiters may not remember the welcome sight of a phone box in the middle of nowhere. Normally they were on the rainy side of the street and required a lot of u-turns. Invariably they didn’t work or indeed had someone in it who was in no hurry whatsoever – and when they did step out, would do so amid a puff of smoke. If not remembering phone boxes, then certainly most recruiters will remember their first placement. I certainly remember mine. The vision for 2021 is that the UK is secure and resilient to cyber threats, prosperous and confident in the digital world. This follows on from earlier in the year where the UK government confirmed that the UK’s new national cyber centre will open in London – so called the National Cyber Security Centre (NCSC). The UK faces a growing threat of cyber-attacks from states, serious crime gangs, hacking groups as well as terrorists. The NCSC will help ensure that the people, public and private sector organisations and the critical national infrastructure of the UK are safer online. I will be taking a look at look at global Cyber Security in general and also taking a look at CISSP qualification shortages and what it means for the world and Recruiters alike as we face cyber wars. Yes cyber wars! In recognition of the risk cyber attacks pose, the government’s 2015 Strategic Defence and Security Review classified cyber as a Tier One threat to the UK – that’s the same level as terrorism, or international military conflict. Ahead of Brexit, Britain could be set to become the world’s cyber talent powerhouse ahead of other nations. The UK cyber-security industry which has grown rapidly in recent years and is now worth £17.6bn – up 70 percent since 2013 – and employs over 100,000 people. More soon for 2017. I’ll be looking at top talent needs and what the UK has to offer as a world leader in cyber. You are what you eat! e.g. Cancer, Diabetes and more.. The food industry portrays pictures of the happy farm yard on the front labels but in truth, the contents are laden with gazillions of cancer and disease causing chemicals – many of which are disguised or simply missing from the labels. The average supermarket with maybe 50,000 products on the shelves – of which 90+% are bad for us, containing the factory food industry products and processes that will keep us sick and addicted that were created by the needs of big spenders such as the Monster McDonald’s. In this video walk, I tell the brief story of the Boeing RB-29A [F13-A] Superfortress 44-61999 ‘Over Exposed’ which crashed on the 3rd November 1948 at Higher Shelf Stones in the Peak District on Bleaklow, near Glossop. Tragically, all the 13 crew members were killed – just 3 days before they were due to return home having survived WWII. The Superfortress was on a routine flight from the American airbase at Burtonwood, Warrington. The flight was carrying the payload of $7,400 dollars for the buttonwood base employees. It’s great being out and about in the glorious outdoors. What striking beauty we have on our doorsteps – the places that replenish and oxygenate the urban world. BUT…. one thing you cannot help notice however is the increasing amount of trash left behind. What goes on in the minds of these people – who presumably also enjoy getting out? Just throwing bottles and cans etc., along the way side, is beyond most of us but the problem is not just UK bound but is worldwide. A mini Tale of Survival – just 30 mins from civilisation on Bleaklow! Ok no Witch or Wardrobe but sounded better!. But definitely a Lost Novice..! The Lost Villages of Ashopton & Derwent in the Peak District is the destination – plus a little of The Dam Busters, Monks and Abandoned Farmsteads and some hot chicken soup thrown in for good measure. The Peak District, as with many other places that are right under your local nose, is full of fascinating history – from recent times to as far back as the end of the last ice age. Apart from the beauty of the place, if you only look twice you can find some great evidence. We are really a bit Johnny come lately aren’t we, when you just stop to think that your very footsteps were walked 10,000 years ago or maybe that pile of rocks you stepped on to tie up your boot laces, were put there to clear a field 4,000 years ago or indeed that prehistoric rock art that was etched 6000 years ago. Latest of the Peakbeatz creations - created for my crime scenes video to depict a little good versus evil! Feel free to use my music for non commercial use, just click the arrow to download.. do please credit www.peakbeatz.com - visit for more! 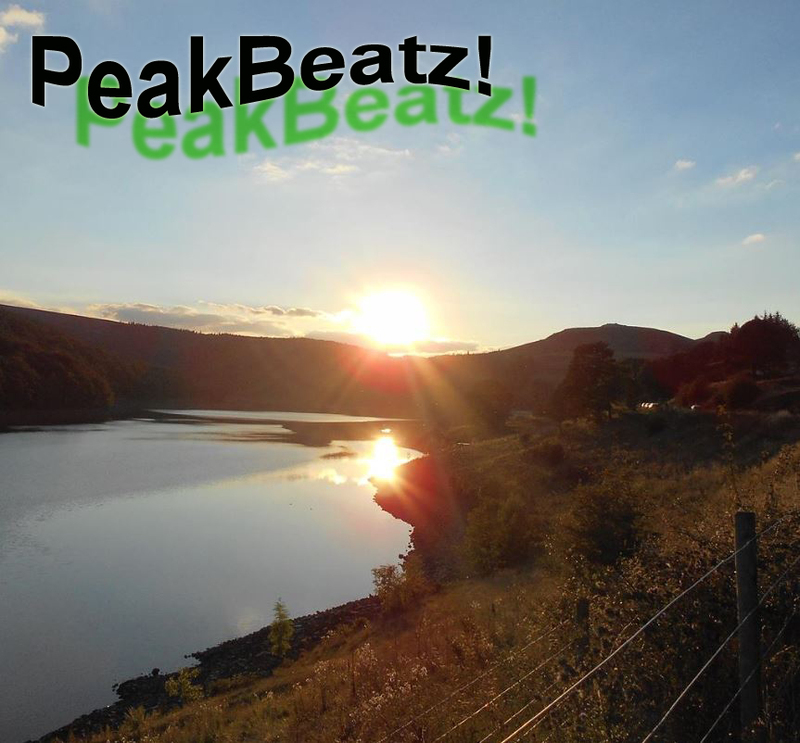 Visit Peakbeats.com for all the PeakBeatz tracks..